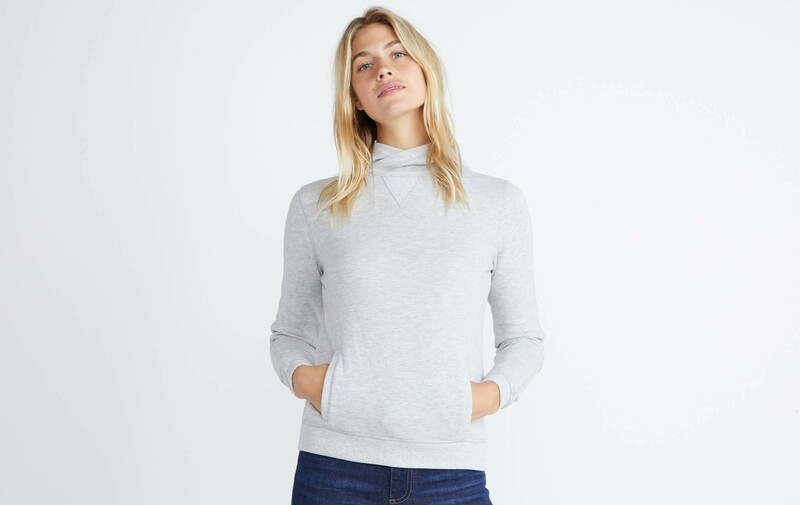 This is that sweatshirt you wear when you don't want to put in any effort but still want to look like you did. 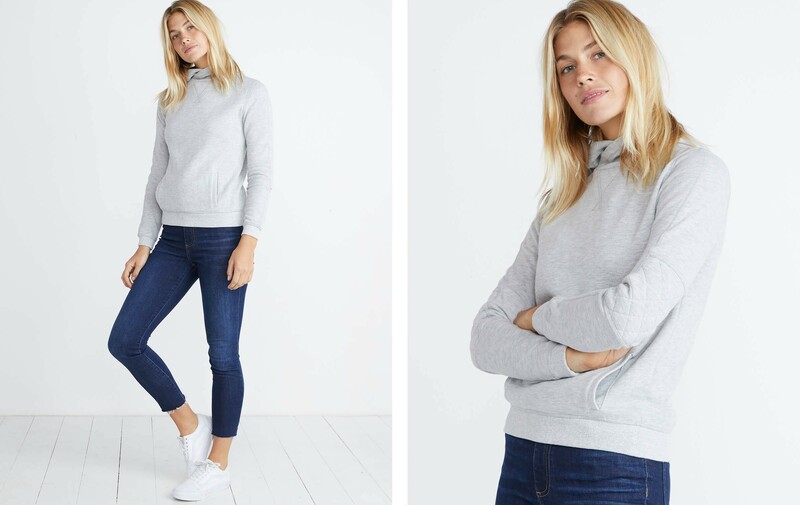 Sporty chic with a cowlneck hood = wear it brunch or to that boxing class. Made with taut fleece that's been double-peached, which although sounds like a sweet Mario Kart reference, means it's been run through a machine to make it extra, extra soft.